Samsung – Latest Venture news. Apologies for skipping day three. This kept me extremely busy yesterday. Though the Galaxy Fold remained a constant companion. I’ll repeat what I said the other day: breakages and lemons have been known to happen with preproduction units. I’ve had it happen with device in a number of occasions in my many years of doing this. That said, between the amount of time it took Samsung to let us reviewers actually engage with the device and the percentage of problems we’ve seen from the limited sample size, the results so far are a bit of a cause for a concern. The issue with the second bit is that protective layer looks A LOT like the temporary covers the company’s phones ship with, which is an issue. I get why some folks attempted to peel it off. That’s a problem. At this point into my life with the phone, I’m still impressed by the feat of engineering went into this technology, but in a lot of ways, it does still feel like a very first generation product. It’s big, it’s expensive and software needs tweaks to create a seamless (so to speak) experience between screens. That said, there’s enough legacy good stuff that Samsung has built into the phone to make it otherwise a solid experience. If you do end up biting the bullet and buying a Fold, you’ve find many aspects of it to be a solid workhorse and good device, in spite of some of the idiosyncrasies here (assuming, you know, the screen works fine). It’s a very interesting and very impressive device, and it does feel like a sign post of the future. But it’s also a sometimes awkward reminder that we’re not quite living in the future just yet. Samsung has issued a statement about its new, folding phone as early photos of tech reviewers with their shiny new toys were replaced on social media (and in numerous columns) with complaints from those same tech reviewers about problems with the phone’s screen. Apparently a number of reviewers either mistakenly destroyed their phone screens or had the screens bork on them after a few days of use. It’s not a good look for Samsung. However, our own Brian Heater had his hands on the Samsung phone, and has had nary a dent in his two days of use. This sort of thing can happen with pre-production models. I’ve certainly had issues with review units in the past, but these reports are worth mentioning as a note of caution with a product, which we were concerned might not be ready for prime time only a couple of weeks ago. At the very least, it’s as good a reason as any to wait a couple of weeks before more of these are out in the world before dropping $2,000 to determine how widespread these issues are. All of that said, I’ve not had any technical issues with my Samsung Galaxy Fold. So far, so good. A day or so in does, however, tend to be the time when the harsh light of day starts to seep in on these things, after that initial novelty of the company’s admittedly impressive feat begins wane. In its response, the company is bravely forging ahead and (sort of) blaming the messenger for not using the thing correctly. The phones will go on sale in the U.S. on April 26 as planned. No less esteemed a tech reviewer than Recode’s Walt Mossberg called the response from Samsung “Really weak“. “A limited number of early Galaxy Fold samples were provided to media for review. We have received a few reports regarding the main display on the samples provided. We will thoroughly inspect these units in person to determine the cause of the matter. I would be remiss if I didn’t mention the technical difficulties multiple reviewers have been experiencing with their units. This sort of thing can happen with pre-production models. I’ve certainly had issues with review units in the past, but these reports are worth mentioning as a note of caution with a product, which we were concerned might not be ready for prime time only a couple of weeks ago. Using the device in the lead up to our big robotics event tomorrow, a number of TechCrunch co-workers have demanded a few minutes with the the device. The reviews so far have been mixed, with most calling out the thick form factor when closed, as well as the crease. The latter, at least, is really dependent on environmental lighting. In the case of the backstage area at this event, it’s harsh overhead office lighting, which tends to bring the crease out when the phone is facing the ceiling. On the other hand, I used the phone to watch videos while using the elliptical at the gym this morning. Titled toward me, the crease wasn’t noticeable. It’s also one of the ideal use cases for the product. The company’s stated “day long” life is pretty on the money. I got just over 24 hours of standard use (subtracting my five hours on a plane). The screen has a built-in protector that looks a lot like the kind of adhesive guard Samsung’s phones ship with. Don’t peel it off. You will damage the phone. I accidentally (I swear) dropped it off a table. It survived unscathed. The green finish looks like gold under certain lights. I definitely would have gone in for blue. We used the handset for a Google Hangout. It was kind of perfect. Kept open at an angle, it can prop itself up. The snap to close is still satisfying. There are early adopters, and then there are early adopters. Anyone who bites the bullet and picks up Samsung’s $1,980 and up Galaxy Fold falls into the former category. And then there are those who’ll be the first to Samsung’s site when the company opens up pre-orders on its inaugural foldable tomorrow. Samsung is really squeezing as much out of this as possible — and understandably so. This thing was a long time in the making. Yesterday, it announced that it had begun mass production on foldable OLEDs for the device. A couple of weeks back, it showed its fold testing in action via video. As for the devices themselves, we haven’t seen much beyond what Samsung showed off on-stage at an event in San Francisco earlier this year. That includes the behind-glass debut at Mobile World Congress a week later — certainly not the same sort of confidence Huawei displayed with its own device announced at that show. Not the kind of thing that lends a lot of confidence to such a pricey purchase, but such is the plight of the early early adopter. The Galaxy S10 5G, meanwhile (a product we’ve actually seen in person, mind), will be available through the company’s site next month. We’ve not seen a lot of the Samsung Galaxy Fold. The device didn’t make its way off-stage at the Unpacked event in late February, and a week later, it was trapped behind glass at Mobile World Congress. But Samsung insists that not only is the handset real, it’s actually going on stage pretty soon. What we have seen, however, are videos. There’s this one from MWC, and today the company dropped another more behind the scenes video, in which the forthcoming foldable is put through Samsung’s in-house stress testing. The company’s claims of lasting around 200,000 folds and unfolds are pretty standard for these kinds of devices. As noted, that amounts to around 100 folds a day for over five years — longer than most of us hold onto a phone, though for $2,000, who knows? The new video shows how Samsung and other companies determine that sort of massive number, using mechanical devices. It says the 200,000 number takes around a week for the devices to complete. It’s pretty mesmerizing. Honestly, I would happily watch a livestream, while waiting to get my hands on the device. Bay Area photography startup Polarr announced this morning that it has raised an $11.5 million Series A. The new round of funding, led by Threshold Ventures with participation from Pear Ventures and Cota Capital, brings the startup’s total funding to around $12.5 million, according to the latest Crunchbase figures. At the moment, the company is probably best known for its photography app for iOS and Android, which utilizes machine learning and AI to improve image editing. The company says it has around four million monthly active users. This round of funding will go toward research and development, engineering and partnerships, the latter of which are starting to become a big business for Polarr. In fact, it’s using the news to highlight the fact that it was tapped to bring its technology to the Samsung Galaxy S10’s native camera app. Polarr has previously teamed with other big hardware names, including Qualcomm and Oppo. Polarr’s tech is becoming increasingly valuable as phone makers look to differentiate their handsets’ imaging outside of the hardware. Notable recent generations of handsets from top companies like Samsung, Apple and Google have leaned heavily on AI and ML updates to stand out from the crowd. This week, we’re going to put our on analysis hats as we explore the world of LiDAR, a sensor that measures distance using laser light to generate highly accurate 3D maps of the world around the car. LiDAR is considered by most in the self-driving car industry (Tesla CEO Elon Musk being one exception) a key piece of technology required to safely deploy robotaxis and other autonomous vehicles. There are A LOT of companies working on LiDAR. Some counts track upwards of 70. For years now, Velodyne has been the primary supplier of LiDAR sensors to companies developing autonomous vehicles. Waymo, back when it was just the Google self-driving project, even used Velodyne LiDAR sensors until 2012. Dozens of startups have sprung up with Velodyne in its sights. But now Waymo has changed the storyline. To catch you up: Waymo announced this week that it will start selling its custom LiDAR sensors — the technology that was at the heart of a trade secrets lawsuit last year against Uber. Waymo’s entry into the market doesn’t necessarily upend other companies’ plans. 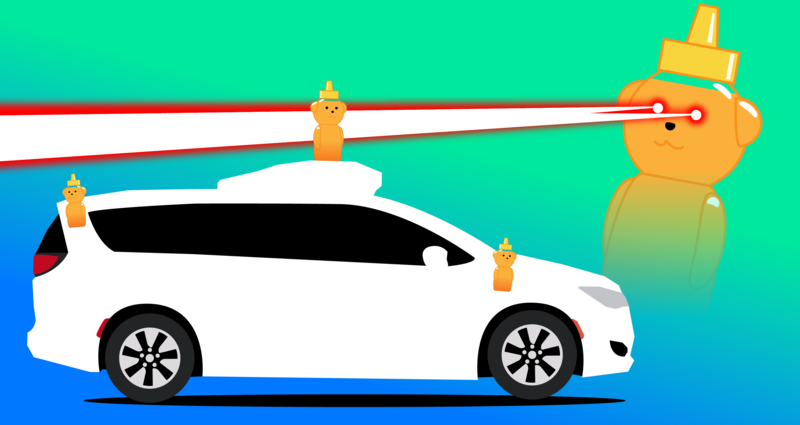 Waymo is going to sell its short range LiDAR, called Laser Bear Honeycomb, to companies outside of self-driving cars. It will initially target robotics, security and agricultural technology. It does put pressure on startups, particularly those with less capital or those targeting the same customer base. 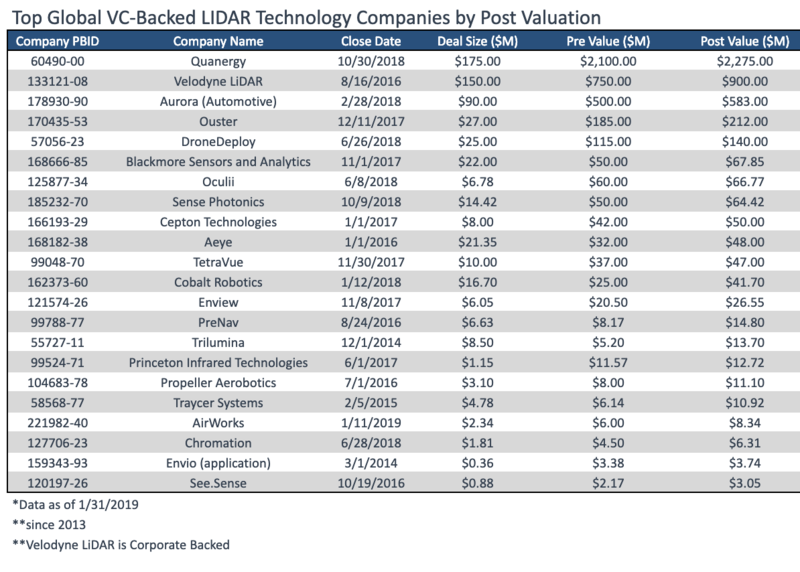 Pitchbook ran the numbers for us to determine where the LiDAR industry sits at the moment. There are two stories here: there are a handful of well capitalized startups and we may have reached “peak” LiDAR. 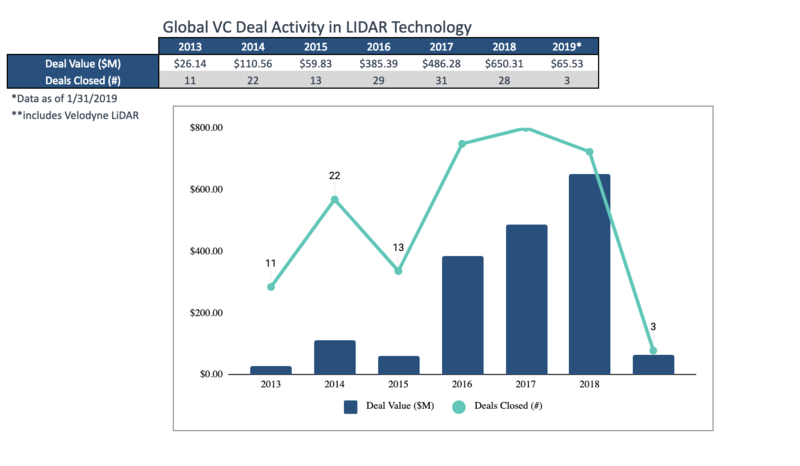 Last year, there were 28 VC deals in LiDAR technology valued at $650 million. The number of deals was slightly lower than in 2017, but the values jumped by nearly 34 percent. The top global VC-backed LiDAR technology companies (by post valuation) are Quanergy, Velodyne (although mostly corporate backed), Aurora (not self-driving company Aurora Innovation), Ouster, and DroneDeploy. The graphic below, also courtesy of Pitchbook, shows the latest figures as of January 31, 2019. Researchers discovered that two popular car alarm systems were vulnerable to a manipulated server-side API that could be abused to take control of an alarm system’s user account and their vehicle. The companies — Russian alarm maker Pandora and California-based Viper (or Clifford in the U.K.) — have fixed the security vulnerabilities that allowed researchers to remotely track, hijack and take control of vehicles with the alarms installed. What does this all mean? Our in-house security expert and reporter Zack Whittaker digs in and gives us a reality check. Follow him @zackwhittaker. Since the first widely publicized car hack in 2015 proved hijacking and controlling a car was possible, it’s opened the door to understanding the wider threat to modern vehicles. Most modern cars have internet connectivity, making their baseline surface area of attack far greater than a car that doesn’t. But the effort that goes into remotely controlling a vehicle is difficult and convoluted, and the attack — often done by chaining together a set of different vulnerabilities — can take weeks or even longer to develop. Keyfob or replay attacks are far more likely than say remote attacks over the internet or cell network. 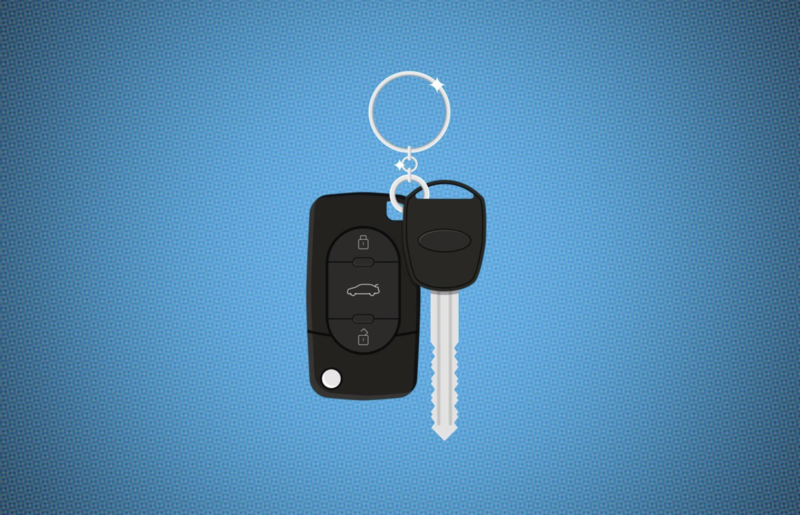 A keyfob sends an “unlock” signal, a device captures that signal and replays it. By replaying it you can unlock the car. This latest car hack, featuring flawed third-party car alarms, was far easier to exploit, because the alarm systems added a weakness to the vehicles that weren’t there to begin with. Car makers, with vast financial and research resources, do a far greater job at securing their vehicle than the small companies that focus on functionality over security. For now, the bigger risk comes from third parties in the automobile space, but the car makers can’t afford to drop their game either. The California Department Motor Vehicles is the government body that regulates autonomous vehicle testing on public roads. The job of enforcement falls to the California Highway Patrol. In an effort to gauge the need for more robust testing guidelines, the California Highway Patrol decided to hold an event at its headquarters in Sacramento. Eight companies working on autonomous trucking technology were invited. It was supposed to be a large event with local and state politicians in attendance. And it was supposed to validate autonomous trucking as an emerging industry. There’s just one problem: only one AV trucking company is willing and able to complete this course. We hear that this AV startup actually already went ahead and completed the test course. The California Highway Patrol has postponed event, for now, presumably until more companies can join. Instead of highlighting one giant deal, let’s step back and take a broader view of mobility this week. The upshot: 2018 saw a decline in total investments in the sector and money moved away from ride-hailing and towards two-wheeled transportation. According to new research from EY, mobility investments in 2018 reached $39.1 billion, down from $55.2 billion in the previous year. (The figures EY provided was through November 2018). Ride-hailing companies raised $7.1 billion in 2018, a 73 percent decline from the previous year when $26.7 billion poured into this sector. Investors, it seems, are shifting their focus to other business models, notably first and last-mile connectivity. EY estimates $7 billion was invested in two-wheeler mobility companies such as bike-sharing and electric scooters in 2018. The U.S. and China together have contributed to more than 80 percent of overall two-wheeler mobility investments this year alone, according to EY research shared with TechCrunch. Vayavision, an autonomous vehicle technology startup that developed perception software received a 2.45 million euro grant ($2.75 million) from the European Commission’s European Innovation Council. The company is backed by backed by LG Corp and Mitsubishi UFJ Capital. Brodmann17 — named after the primary visual cortex in the human brain — raised $11 million in a Series A round of funding led by OurCrowd, with participation also from Maniv Mobility, AI Alliance, UL Ventures, Samsung NEXT, and the Sony Innovation Fund. Let’s talk about Generation Z, that group of young people born 1996 to the present, and one startup that is focused on turning that demographic into car owners. There’s lots of talk and hand wringing about young people choosing not to get a driver’s license, or not buying a vehicle. In the UK, for instance, about 42 percent of young drivers aged 17 to 24, hold a driver’s license. That’s about 2.7 million people, according to the National Travel Survey 2018 (NTS) of the UK government’s department of transport. An additional 2.2 million have a provisional or learner license. Combined, that amounts to about 13 percent of the car driving population of the UK. In the UK, evidence suggests that a rise in motoring costs have discouraged young people from learning. And there lies one opportunity that a new startup called Driver1 is targeting. Driver 1 is a car subscription service designed exclusively for first car drivers aged 17 to 24. The company has been in stealth mode for about a year and is just now launching. The company’s own research has found this group wants a newer car for 12 to 15 months. The company is working directly with leasing companies — not dealerships — to provide young drivers with 3 to 5-year-old cars that have lost 60 percent or so of their value. Driver1 is targeting under $120 a month for the customer and has a partnership with remarketing company Manheim, which is owned by Cox Automotive. 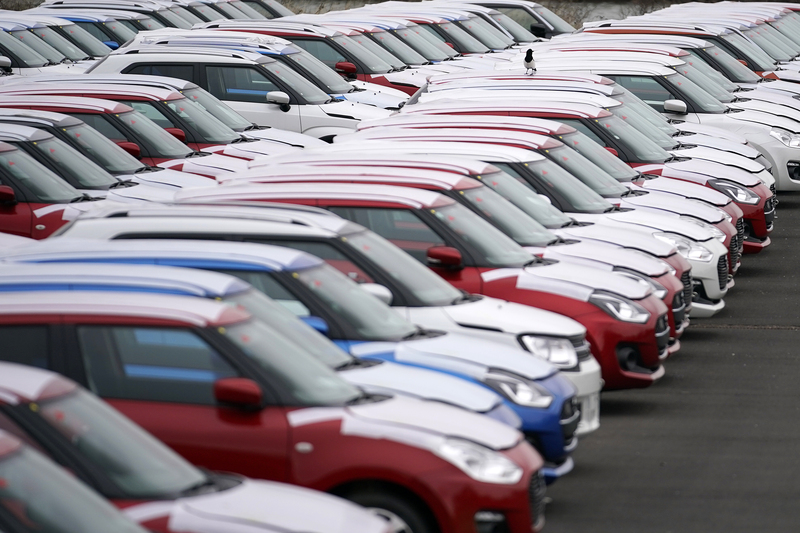 The startup is focused on the UK for now and has about 600 members who have reserved their cars for purchase. Driver1 is aiming to capture about 10 percent of the 1 million or so young people in the UK who pass their learners permit each year. The company plans it expand to France and other European countries in the fall. Ca-caw, ca-caw! That’s the sound of Bird gearing up to launch Bird Platform in New Zealand, Canada and Latin America in the coming weeks. The platform is part of Bird’s mission to bring its scooters across the world “and empower local entrepreneurs in regions where we weren’t planning to launch to run their own electric-scooter sharing program with Bird’s tech and vehicles,” Bird CEO Travis VanderZanden told TechCrunch. MRD’s two cents: Bird Platform seems like a way for Bird to make extra cash without having to do any of the work i.e. charging the vehicles, maintaining them and working with city officials to get permits. Smart! Meanwhile, the dolla dolla bills keep pouring into micromobility. European electric scooter startup Voi Technology raised an additional $30 million in capital. That was on top of a $50 million Series A round just three months ago. Oh, and because micromobility isn’t just for startups, Volkswagen decided to launch a kind of weird-looking electric scooter in Geneva. Because, why not? Lyft is trimming staff to prepare for its IPO. TechCrunch’s Ingrid Lunden learned that the company has laid off about 50 staff in its bike and scooter division. It appears most of these folks are people who joined the Lyft through its acquisition of electric bike sharing startup Motivate a deal that closed about three months ago. It’s probably not smart to suggest another newsletter, but if you haven’t checked out Michael Dunne’s The Chinese Are Coming newsletter, you should. Dunne has a unique perspective on what’s happening in China, particularly as it related to automotive and newer forms of mobility such as ride-hailing. One interesting nugget from his latest edition: there are more than 20 other new electric vehicle makers in China. “Most will fall away within the next 3 to 4 years as cash runs out,” Dunne predicts. Here’s a fun read for the week. TechCrunch’s Lucas Matney wrote about a YC Combinator startup Jetpack Aviation.The startup has launched pre-orders this week for the moonshot of moonshots, the Speeder, a personal vertical take-off and landing vehicle with a svelte concept design that looks straight out of Star Wars or Halo. Spanish ride-hailing firm Cabify is back operating in Barcelona, Spain despite issuing dire warnings that new regulations issued by local government would crush its business and force it to fire thousands of drivers and leave forever. Turns out forever is one month. The Catalan Generalitat issued a decree last month imposing a wait time of at least 15 minutes between a booking being made and a passenger being picked up. The policy was made to ensure taxis and ride-hailing firms are not competing for the same passengers, following a series of taxi strikes, which included scenes of violence. Our boots on the ground reporter Natasha Lomas has the whole story. Sure, Barcelona is just one city. But what happened in Barcelona isn’t an isolated incident. The early struggles between conventional taxis and ride-hailing operations might be over, but that doesn’t mean the matter has been settled altogether. And it’s not likely to go away. Once, robotaxis actually hit the road en masse — and yes, that’ll be awhile — these same struggles will pop up again. Other deployments, or, er, retreats …. China Post, the official postal service of China, and delivery and logistics companies Deppon Express, will begin autonomous package delivery services in April. The delivery trucks will operate on autonomous driving technologies developed by FABU Technology, an AI company focused on intelligent driving systems. There is a lot of transportation-related activity this month. Come find me. SXSW in Austin: TechCrunch will be at SXSW. And there is a lot of mobility action here. Aurora CEO and co-founder Chris Urmson was on stage Saturday morning with Malcolm Gladwell. Mayors from a number of U.S. cities as well as companies like Ford and Mercedes are on the scene. Here’s where I’ll be. 2 p.m. to 6:30 p.m. (local time) March 9 at the Empire Garage for the Smart Mobility Summit, an annual event put on by Wards Intelligence and C3 Group. The Autonocast, the podcast I co-host with Alex Roy and Ed Niedermeyer, will also be on hand. 9:30 a.m. to 10:30 a.m. (local time) March 12 at the JW Marriott. The Autonocast and founding general partner of Trucks VC, Reilly Brennan will hold a SXSW podcast panel on automated vehicle terminology and other stuff. 3:30 p.m (local time) over at the Hilton Austin Downtown, I’ll be moderating a panel Re-inventing the Wheel: Own, Rent, Share, Subscribe. Sherrill Kaplan with Zipcar, Amber Quist, with Silvercar and Russell Lemmer with Dealerware will join me on stage. TechCrunch (including yours truly) will also be at Nvidia’s annual GPU Technology Conference from March 18 to 21 in San Jose. The annual Self Racing Car event will be held March 23 and March 24 at Thunderhill Raceway near Willows, California. There is still room for participants to test or demo their autonomous vehicles, drive train innovation, simulation, software, teleoperation, and sensors. Hobbyists are welcome. Sign up to participate or drop them a line at [email protected]. Thanks for reading. There might be content you like or something you hate. Feel free to reach out to me at [email protected] to share those thoughts, opinions or tips. The Galaxy S10’s pre-sales were, by all accounts, quite brisk. 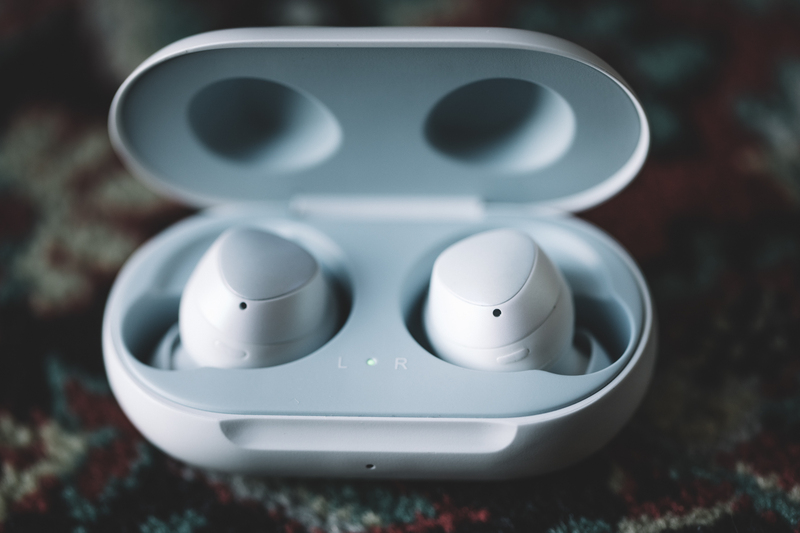 In fact, the company ran out of the free Galaxy Buds its was bundling with the handset. That’s good news all around for Samsung, after sales for the S9 were reported to be fairly light. For those waiting for the reviews — or simple wanting to pick one up in-store — the handsets are hitting retail today, and the company’s still offering up some extra perks. The big one is six months of free premium Spotify for “qualified purchases.” That news comes as the company announced that it will be bundling the music app on its devices. A return to bloatware or strategic partnership in the fight against Apple? Poe-tay-toe, poe-tah-toe, I guess. This Premium and Samsung 6 Month Trial Offer is available for a limited period only and must be redeemed before any applicable date advertised. Spotify reserves the right to modify or to earlier terminate this Premium and Samsung 6 Month Trial Offer at any time and for any reason. After such time, Spotify shall not be obligated to redeem any further attempts to take up this offer. In addition to the S10, S10+ and S10e, the company’s new wearables, the Galaxy Watch Active and Galaxy Buds are also now available through Samsung’s site and retail channels.